After our trip to the temple of the Divine Madman, our guide Mani brought us to a beautiful hillside to enjoy a quiet picnic lunch. Together with our driver, he carefully laid down a nice comfortable mat for us to sit on and arranged all the warm dishes they prepared for us. 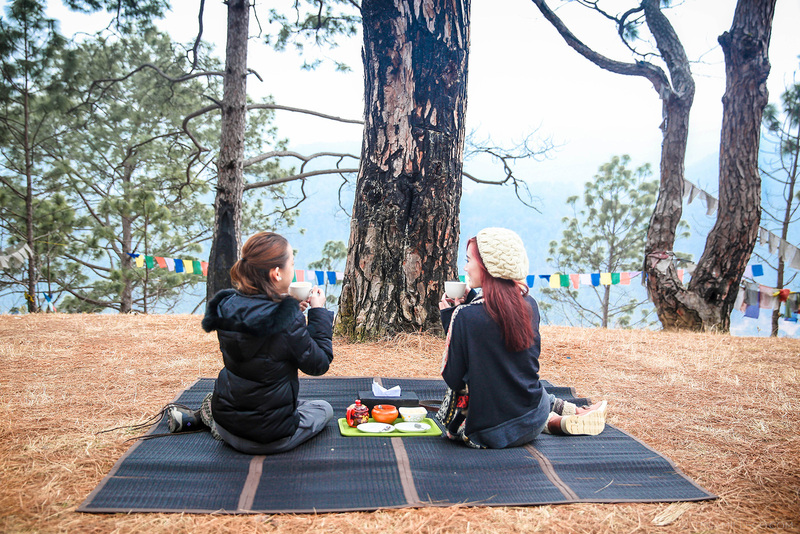 It was the cutest thing ever and is probably my favorite meal among all the meals we’ve had in Bhutan. 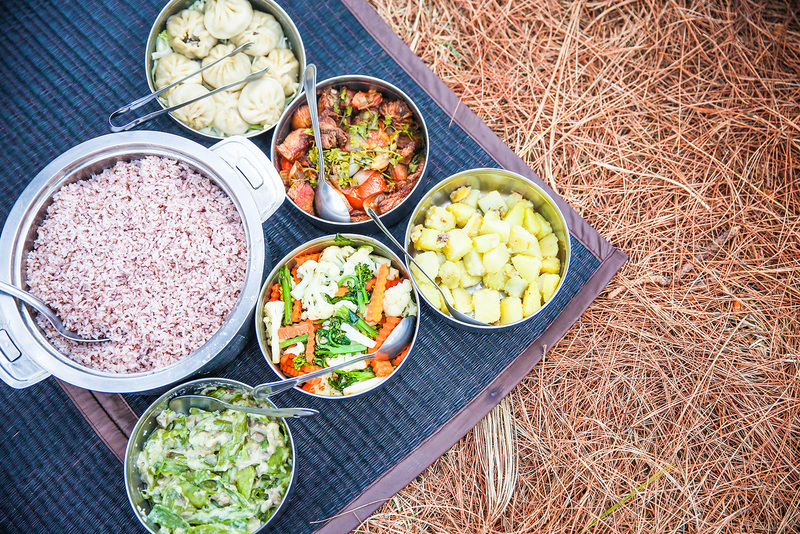 Bhutanese food is quite simple but packed with a lot of flavor. I guess the best way to describe it is it’s a cross between Chinese and Indian cuisine. If you ever find your way in Bhutan, make sure to try their signature chilli cheese. They usually make it super spicy but if you’re not that into spicy food, you can request for less. It’s definitely a must try! 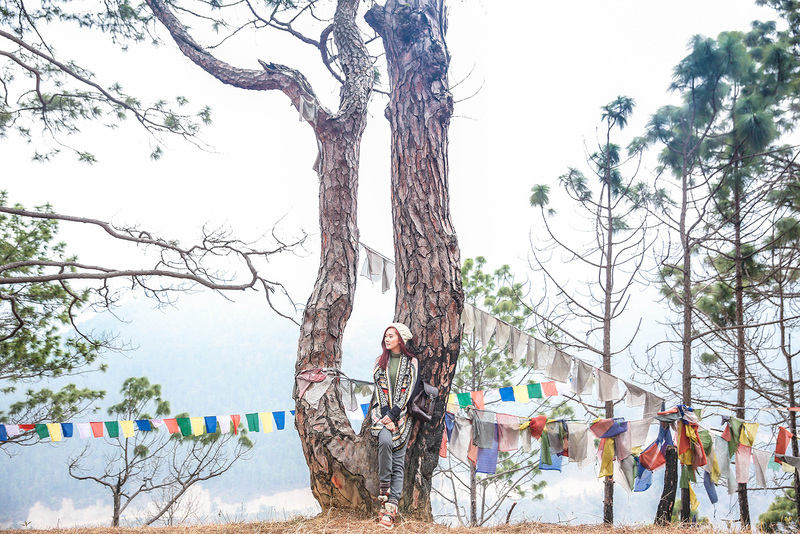 Another must when in Bhutan? 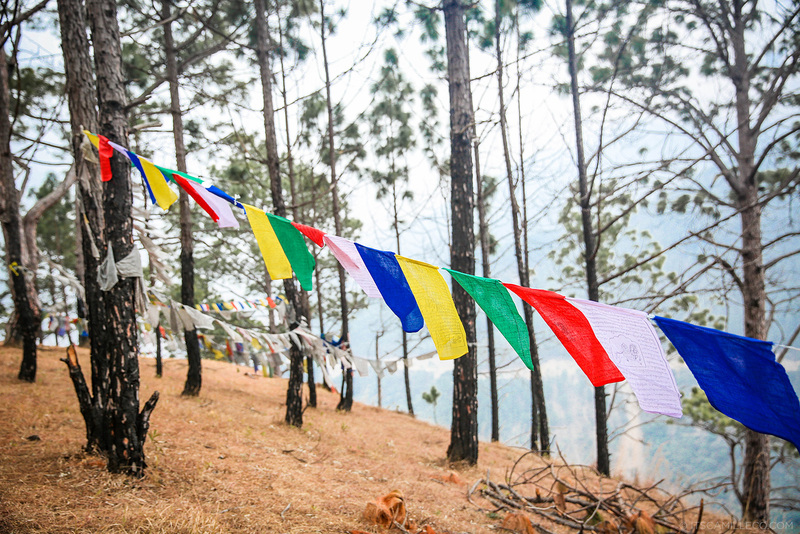 Hang prayer flags like the locals do. 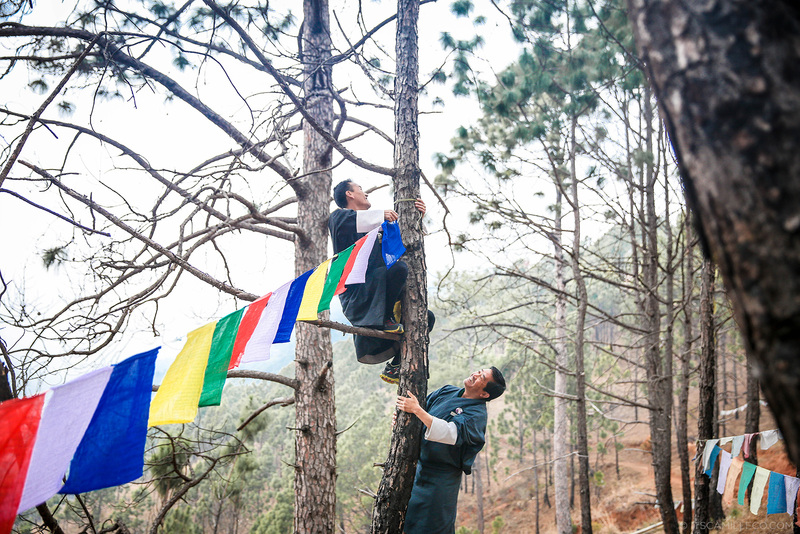 My sister and I don’t have much experience climbing trees so we stuck to tying our prayer flags around shorter trees and let Mani do the climbing when the trees got too high. 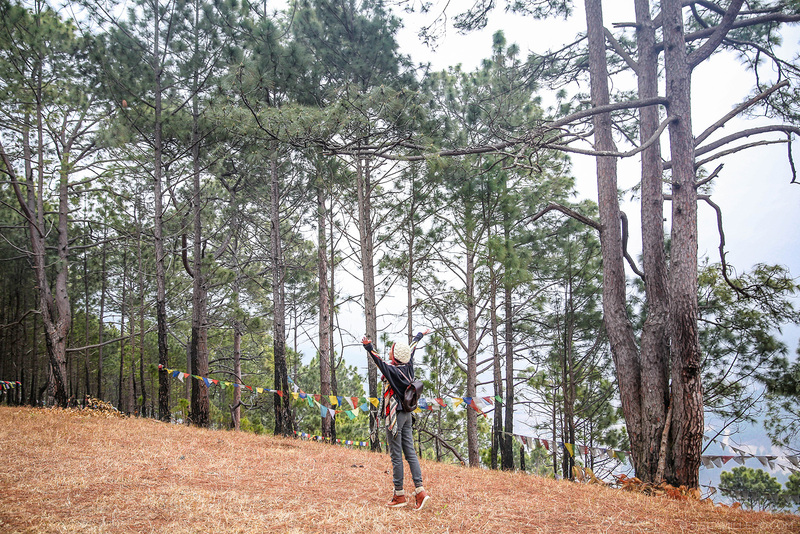 I don’t know much about the prayers on the flags but it sure feels nice to know we’ve somehow left our mark in Bhutan. 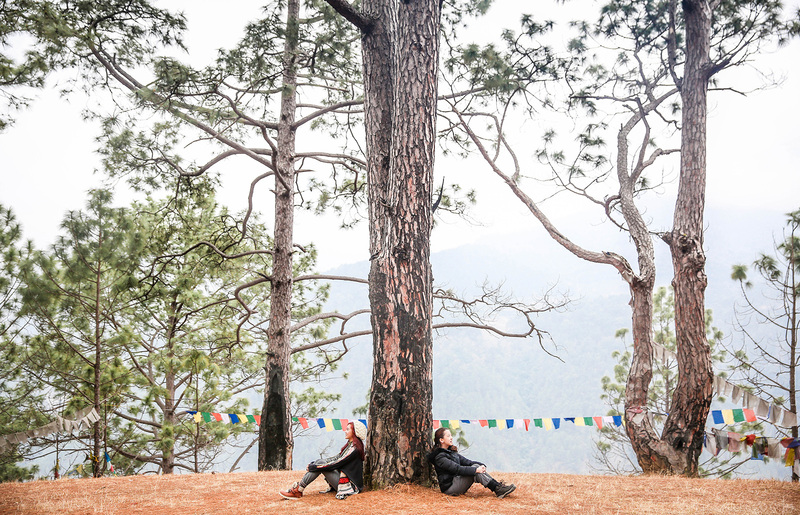 Spectacular photos :) I haven’t been to Bhutan but your pictures are enough proof that it’s worth the visit. Aww I love the flags <3 So colorful and pretty! 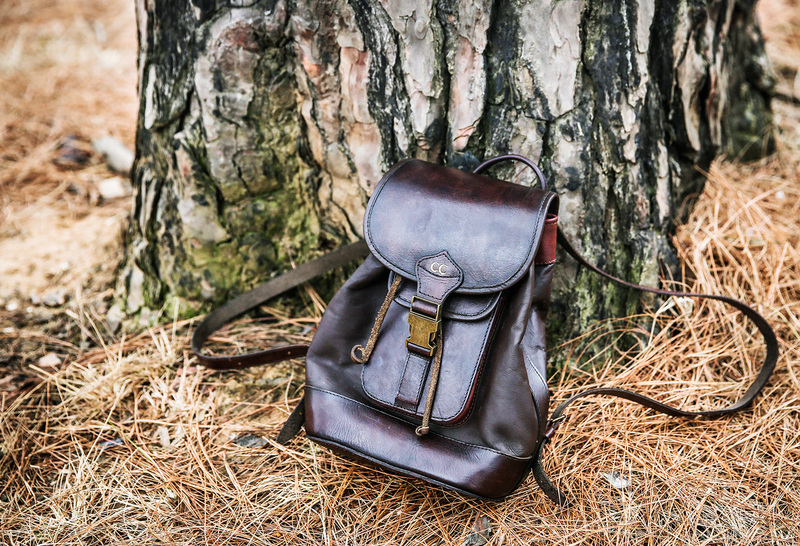 And that's so nice to have a warm lunch packed for a hike/picnic! 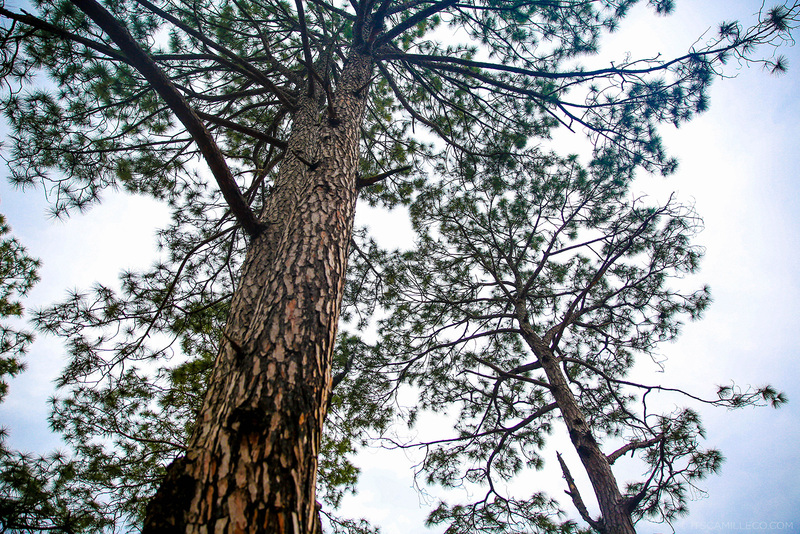 Loving all of these lovely photos of Bhutan's wonderful nature scenery!